본 연구는 환구시보 4월 7일 「用打抗美援朝的意志打對美貿易戰」 사설에 대하여 비판적 담화분석의 접근법을 활용하여 텍스트 기술, 상호텍스트성, 사회문화적 수행 설명으로 구분하여 분석하였다. 본 사설은 ‘戰爭’과 관련된 어휘와 프레임을 집중적으로 사용하고 있다. 첫째, “貿易戰”과 “抗美援朝”는 은유와 전쟁프레임을 보여주는 예이다. 둘째, “戰略”은 미국과 중국에 각각 부정적, 긍정적으로 사용되고 있다. 셋째, 다양한 전쟁용어가 사용되었다. 넷째, ‘引喩法’을 살펴보면, 전쟁관련 표현이 보인다. 본 사설의 상호텍스트성에서 두 가지 결과를 얻을 수 있었다. 첫째, 환구시보가 ‘대등한 보복’을 줄곧 사용하고 있다. 이유는 자신의 반격을 정당화하고, 그런 중국이 하는 전쟁은 ‘자위적 차원의 반격전(自衛反擊戰)’이 되도록 포장해주기 위함이다. 둘째, ‘싸우기는 싫은데, 싸움이 두렵지는 않다’라는 표현이 여러 사설에서 반복되었다. 그 이유는 다음과 같다. (1) 인민의 결집을 호소. (2) 공포심을 일으켜, 그들이 결집해야만 하는 이유를 암암리에 부여. (3) “두렵지 않다”를 통해 중국은 체면을 차리고, 미국에게는 “싸우기 싫다”는 ‘싸인’을 보내기 위함이다. 맥락상 같은 논지가 약 3개월(2018.03.23.-06.17)의 시간차를 두고 9개 사설에서 비슷한 표현으로 보이는 것은 상호텍스트성의 예라 할 것이다. 본 사설의 사회문화적 수행은 중국 정부의 패권 이데올로기를 전파함에 있다. 첫째, 핵심 국책사업 ‘中國製造2025’는 절대 포기할 수 없음을 분명히 밝힌 것이다. 둘째, 사설은 “抗美援朝”를 소명하여 미국을 비난ㆍ협박하고, 민심의 이반을 다독이며 결집을 호소, 시진핑 정부에 힘을 실어 주고자 하는 의도이다. 셋째, 중국은 미국과의 협상의 여지를 열어두고자 하고 있다. 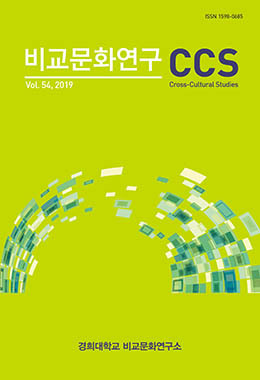 Employing Fairclough’s critical discourse analysis (CDA), the purpose of this study was to analyze linguistically significant features, intertextuality, and sociocultural practice focusing on selected editorials of The Global Times, Huanqiu Shibao on the 2018 United States-China Trade War. The editorial titled “With the strong will of ‘the War to Resist America and Aid Chosun,’ let us go through the trade war against America” focused on the use of ‘war’ related vocabulary in the frame of ‘war.’ First, “Trade War” and “War to Resist America and Aid Chosun” are examples that reveal metaphors and a war frame. Second, “Strategy” is used positively for China but negatively towards America. Third, various war related words are used. Fourth, cases of allusion illustrate war. Intertextuality in terms of discourse practice pertains to two findings. First, The Global Times, Huanqiu Shibao repeatedly uses the phrase ‘equivalent revenge.’ That is because the expression enables China to justify their counterattack and such war that China may wage can be interpreted as just counterattack much like a self-defense mechanism. Second, the expression, ‘the counterattack is not intended but it is not fearful’ is repeated in several editorials of the newspaper. The reasons are the following: 1) it is used to appeal to the public, 2) by invoking the feeling of fear, the public should be understand why they should unite, and 3) the expression, “it is not fearful” is used to preserve China’s global image and “the counterattack is not intended” is used to signal China’s will to America. The whole expression is a good example of intertextuality that repetitively illustrates the intended meaning of China in nine editorials in the newspaper within three months, March 23-June 17, 2018. Finally, sociocultural practice is manipulated through the editorial for disseminating the Chinese government’s hegemonic ideology. First, it is clear that the core national project, “China Manufacturing 2025” cannot be abandoned. Second, by calling for “War to Resist America and Aid Chosun” the editorial is manipulated to condemn and intimidate America, avoid dissent of the people, appeal to the people, and empower the government. Third, China somehow wants to open up the possibility of negotiation with the United Sates.